KOEI Tecmo publishes several popular and beloved series. This winter, they’re set to release several titles, so they put on a show in San Francisco to show off some of their upcoming games. On display were three titles from Gust, Team NINJA, and Omega Force: Nelke and the Legendary Alchemists, Dead or Alive 6, and Warriors Orochi 4, respectively. In addition to getting some up-close time with some of the people behind these games, I also had a chance to get some hands on time with all three. 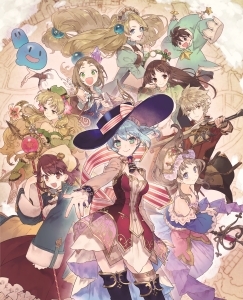 The first game I played was Nelke and the Legendary Alchemists. This latest entry in the long running Atelier series developed by Gust possesses a lot of the same charm people have come to expect. However, as a long time player of the series myself, it was quite a surprise to find the game takes a completely different direction: city building. Alchemists are still very important to the story, but the main character, Nelke, is the daughter of aristocracy chosen to be the administrator of a small town. She’s definitely no alchemist despite her best efforts, so gameplay revolves more around her managing the town while working on her pet project of finding one of the legendary relics said to be nearby. As usual, the characters are colorful, cute, and the atmosphere is bright and warm. Exploration and combat also work much differently this time around, which some people might find to be a bit jarring. Instead of wandering fields manually, your party walks to their destination, finding items and encountering monsters along the way. Reach the end before time runs out and you’ve a chance at treasures. Combat revolves around the use of basic attacks charging a special gauge which you can then use to power special attacks and more. Personally, I think it works for the game. Next up with Dead or Alive 6 by Team NINJA. This was a different build than has been previously shown at E3, and expanded a bit more on the TGS demo. While not every character has been implemented yet, the roster is still shaping up nicely. Like previous DOA titles, DOA6 focuses on more realistic fighting — ignoring the teleporting some characters do in their attacks — and flowing combos. It may not be as flashy as some of the other games in the fighting game genre, but it makes up for it in style, substance, and skill. New to the series is the Break Gauge. Likened by some to a super gauge some games have, this allows characters to unleash some powerful attacks against their opponents. Also included in the game is Fatal Rush, a combination attack that players can utilize to their advantage by stringing together up to four strong attacks (though the option exists to utilize less) that promises to be absolutely punishing if it connects. From everything I played, the mechanics are solid, the game looks amazing, and it’s definitely a title that will appeal to vets and newcomers alike. Finally, I sat down with Warriors Orochi 4, developed by Omega Force. For those who may not know, the Warriors Orochi series combines the characters of both Dynasty Warriors and Samurai Warriors in a fantasy realm where they fight each other and team up against mythical foes. This time around, the cast squares off against the Olympians — Zeus, Athena, Ares, and Perseus. The appearance of strange bracelets triggers a merging of a world long thought vanished, and the cast struggle to collect them for some unknown purpose. The game uses the combined elements of Dynasty Warriors 8 XL and Samurai Warriors 4-2 and expands on Warriors Orochi 3 Ultimate to great effect. The characters from either game feel distinct and unique enough from each other, thankfully. There’s also the addition of the Sacred Treasures system, which gives every character in the game (all 170 of them) additional moves to add to the already robust combo system. Each treasure possesses the same basic and charged magic attacks, but every single character has a unique magic attack with their treasure. It’s a flashy, showy, fun game to play, and I’ve long loved the Orochi series because of it. Overall, it was a very impressive showing from KOEI Tecmo once more, showcasing games that will appeal to a wide audience. Nelke and the Legendary Alchemists will charm anyone looking for a light-hearted RPG experience, and fans of the series get to experience an entirely different style of gameplay. Dead or Alive 6 provides a solid platform for new players to enter the fighting game world, while leaving its fans plenty to be excited for with their favorite characters. 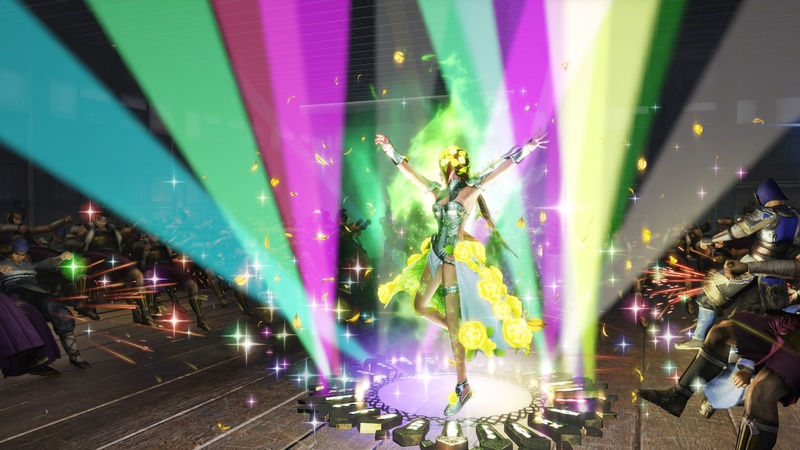 Warriors Orochi 4 promises countless hours of hack-and-slash gameplay while adding enough new features in the Sacred Treasures system to feel fresh and fun. All three games will be releasing within the next few months, so be on the look out soon.